Thinking of getting the education you need for the career you want? Look no further than The Skilled Trades Academy. 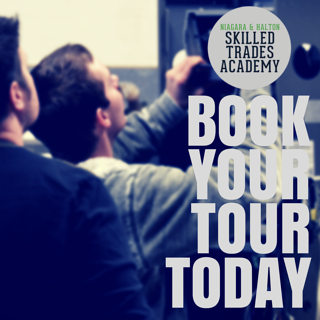 We offer private and group tours of our classrooms and labs to show how The Skilled Trades Academies off the best and fastest training to enter the trades. Fill out the form and a member of our team will be in touch to book your tour!